Oral Sedation Dentistry is a wonderful service for patients who are looking for a more comfortable and relaxing dental experience. 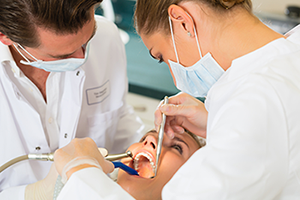 With Oral Sedation, oral sedative medications can be used to reduce patient fear and anxiety, allowing patients to undergo a wide range of dental procedures in a comfortable atmosphere. Oral Sedation can be used for simple cleanings to more complex procedures. Who Can Have Oral Sedation? If you are interested in sedation dentistry, please call Padonia Dental Associates in Cockeysville, MD at (410) 560-1400 to discuss treatment options.